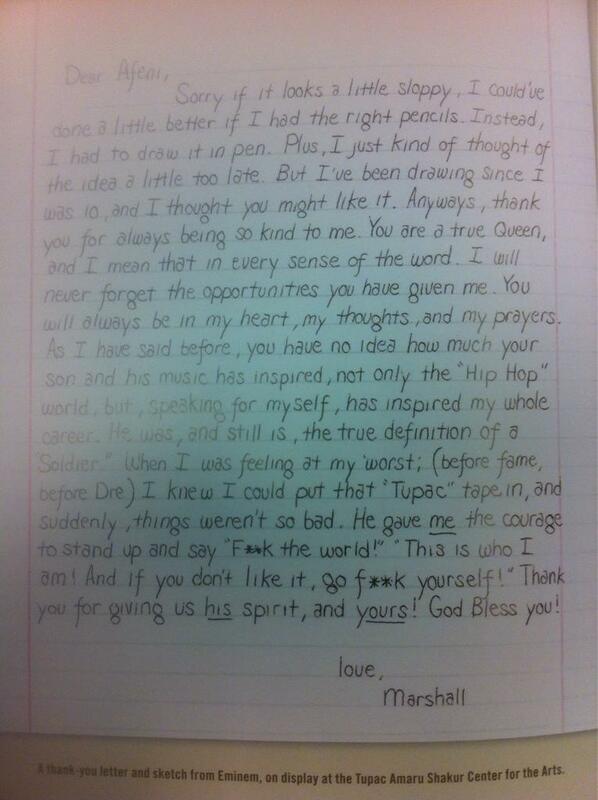 An emotional letter that Eminem once wrote to Tupac's mum, sometime after the legend's death, has surfaced online. Handwritten, in pen, Eminem opens the letter addressed to Afeni by apologising if "it looks a little sloppy" and goes on to call Pac's mum a "Queen." The letter, which reportedly featured in the 2007 book 'Tupac Remembered' surfaced online via a Reddit thread, although it is unclear when exactly it was penned. "You have no idea how much your son and his music has inspired not only the "Hip Hop" world, but, speaking for myself, has inspired my whole career," Marshall wrote. "He was, and still is, the true definition of a soldier." 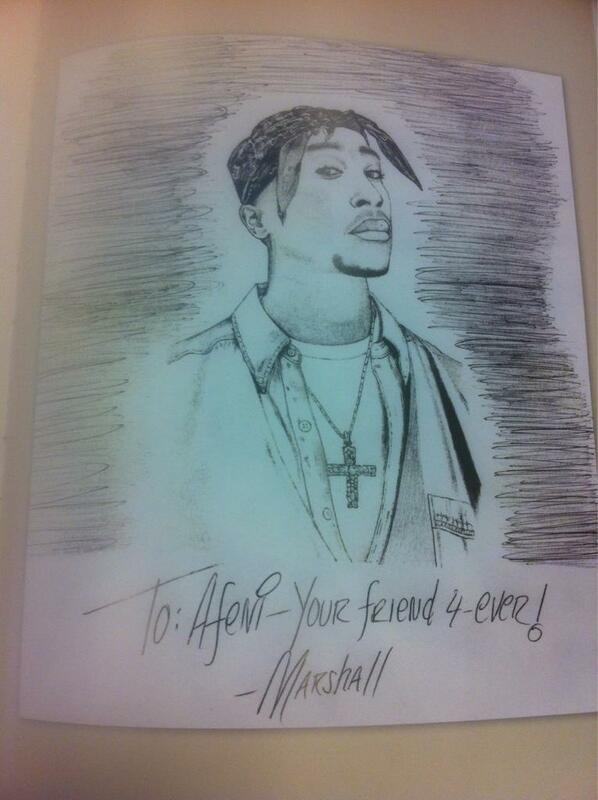 The heartfelt letter was accompanied by a special sketch Eminem drew of the 'Changes' rapper. "I could've done a little better if I had the right pencils," Eminem wrote of the drawing.